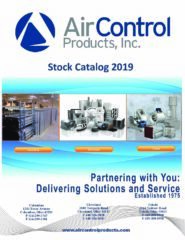 HVAC Solutions Archives | Air Control Products, Inc.
Air Movement Air Movement Products offered by Air Control Products include Fans, Inline Fans, Dryer Exhausts, Ceiling Exhaust Fans, Flue Venting, Large Diameter Fans (8' - 24') Duct Inducers and Modulating Combustion Air Movement. Air Handlers & Equipment Air Movement Products offered by Air Control Products include Fans, Inline Fans, Dryer Exhausts, Ceiling Exhaust Fans, Flue Venting, Large Diameter Fans (8' - 24') Duct Inducers and Modulating Combustion Air Movement. Custom Air Handlers Whether you are looking for energy savings, noise control, improved indoor air quality or reduced humidity, a Custom Air Handler will do the job. We represent manufacturers that allow us to provide you with a premium Custom Air Handling solution. Energy Recovery Are you looking to meet ASHRAE 62 ventilation rates and recover energy from the exhaust are stream at the same time? Improve indoor air quality and reduce energy costs with our Energy Recovery products. Exhaust Systems Exhaust Systems offered by Air Control Products include Kitchen Hoods, Vehicle Exhausts, Flue Venting, Dryer Exhausts and Source Capture Exhaust Systems. Sound Attenuation Sound Attenuation products offered by Air Control Products are designed to absorb noise from fans and air moving equipment as well as help prevent cross over noise that may can occur in an office environment.